Weather: Misty/ foggy, darker and more gloomy. 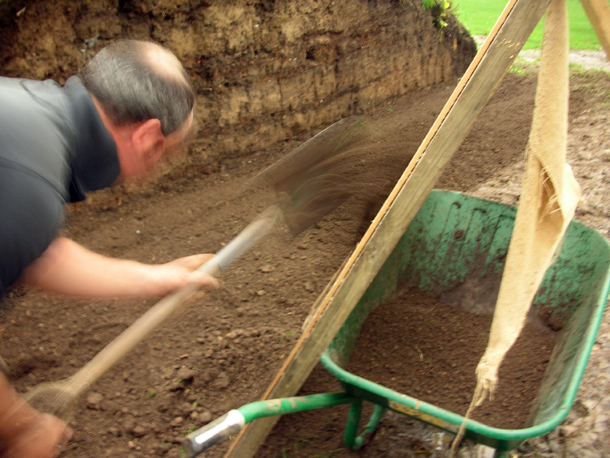 More loam making - the compost soil was more wet and claggy today so it was like working with putty. But we had the people power and it was best to get a load done whilst we had the resources. Also because in a few days time the garden will close for winter and we would want to fully concentrate working on the borders, lifting out plants etc.